Today’s TOMBSTONE TUESDAY post returns to Little Downham and finds a delightful example of 19th century headstone for the Harrison family. It was wonderfully sunny on Sunday, so I went for a short drive to Little Downham – a village synonymous with my paternal ancestry – to re-tread my steps from years ago, and photograph the gravestones that match my ancestral surnames. I always find it interesting to see how the headstones have changed in the preceding years too, some look much the same, other’s have become more lichen and mossed over. The 19th century headstone commemorating William and Mary Harrison, and their daughter Sarah stands in Little Downham parish churchyard, and is almost 200 years old. This stone, which I don’t remember seeing before (perhaps I was yet to uncover my Harrison roots), stands on the West side of St Leonard’s church, against the perimeter wall. Whether this is it’s original place of standing, or whether it’s been moved, is a mystery, but having noticed that a lot of stones are around the edges, then I’d suspect this to be the case. 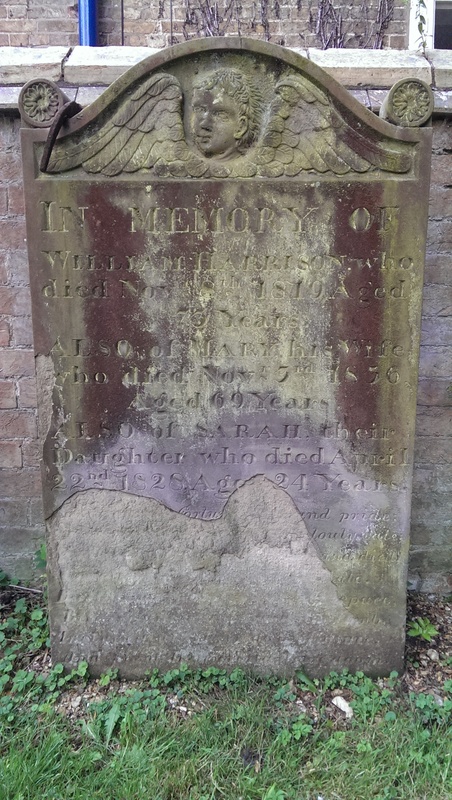 IN MEMORY OF William Harrison who died Nov 8th 1819 Aged 73 years. Also of Mary his wife who died Nov 3rd 1836 Aged 69 years. Also of Sarah their daughter who died April 22nd 1828 Aged 24 years. And, actually, as I write this blog article, a strange shape has caught my eye on the top left of the photo – is that a horseshoe resting on the top of the left corner of the stone, or a metal brace to keep this stone standing up? It was a fair few inches away from the wall… I’ll have to return and check! As for the occupants of this gravestone, William Harrison was born circa 1746 to William Harrison and his wife Anne Leaford. He was baptised on 27th July 1746 at Little Downham. He married Mary (surname not discovered), and the couple had at least five children, with Sarah seemingly being the youngest born around 1802. She was baptised on 25th September 1803. She died aged 24 years, on 22nd April 1828, and was buried with her father (who had died in November 1819) 3 days later. Her mother joined them in November 1836. At the moment, these Harrison family members seem to be eluding my own William Harrison branch, who seem to alternate between this family group in the Little Downham registers. It is pretty certain that these were ultimately the same family. Research continues…. and i think i need to get my timeline/whiteboard out again to solve this puzzle. 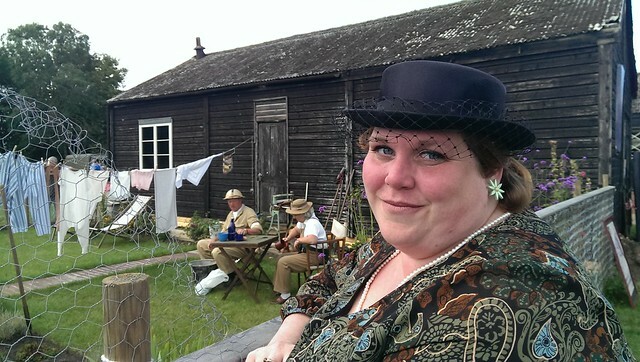 Spent the weekend in the 1940s – meeting Winston Churchill, watching a Spitfire flying around, eating spam sandwiches, and escaping Nazi officers. 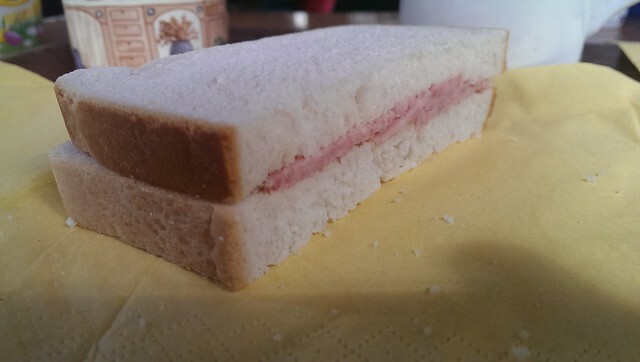 I’ve just returned from a trip with friends, to the 1940s, where I saw Prime Minister Winston Churchill, some Nazis, was treated to a Lancaster Bomber and a Spitfire fly-by, and I ate some spam. 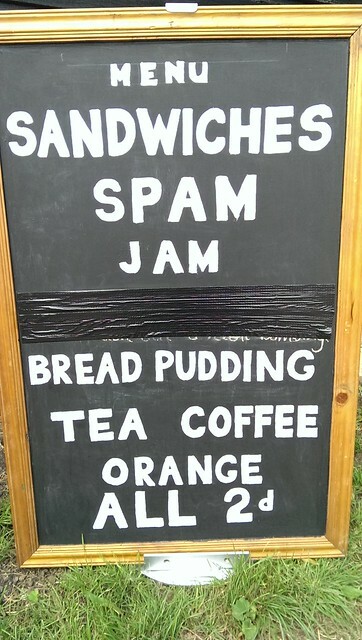 The NAAFI canteen was packed full of people having the tea, bread pudding, jam, and spam sandwiches. Speaking of which… I did eat it. The blank flavour, and synthetic texture reminded me of when I last had it in about the 1980s. Despite it providing a useful food source back then, it’s pretty much sneered at these days despite still being in production and readily available (someone/thing must be eating it!). 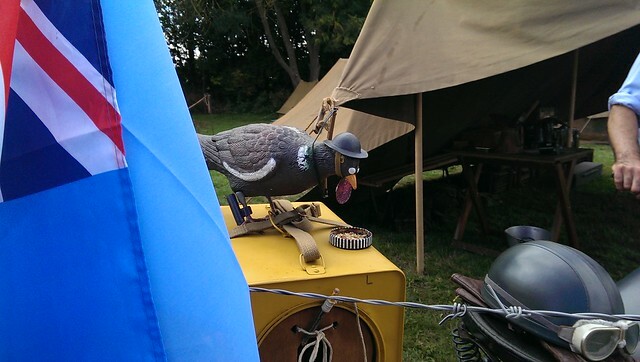 Around 250,000 Pigeons were used during the second world war to carry secret messages home in some of the most deadly battlefields, often from behind enemy lines, over the fighting and in to the British officer’s hands. The acts of the pigeon saved thousands of soldiers. Apparently this little chap is called ‘Lucky’. Ran in to these chaps. 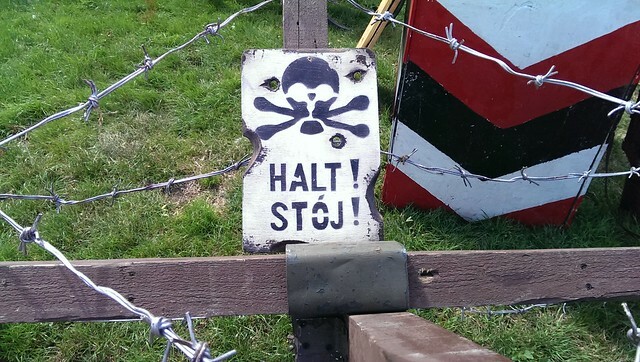 Thankfully my limited German allowed me to escape… although it was fraught with danger. 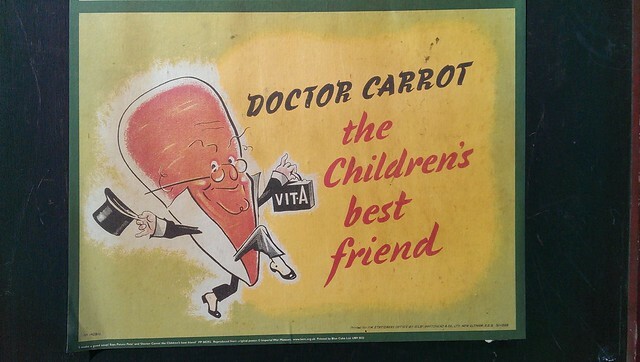 A wartime poster encouraging healthy eating – and getting children to eat Vitamin A (a deficiency can lead to blindness). Will post the Spitfire and Lancaster Bomber fly-past videos later (they’re taking a while to down/upload). 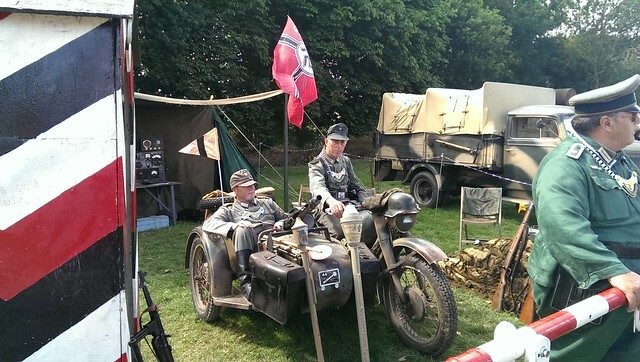 Check out the Ramsey 1940s Weekend website for more. This week’s Surname Saturday focuses on the Levitt family of Swaffham Bulbeck in Cambridgeshire, England. This week’s Surname Saturday theme posting looks at the Levitt family, who lived in the village of Swaffham Bulbeck in Cambridgeshire during the 18th and 19th century. My most recent Levitt ancestor was Emma Levitt, who was born in 1825 as the oldest of at least nine children of John Levitt (a blacksmith) and Elizabeth (née Skeels). 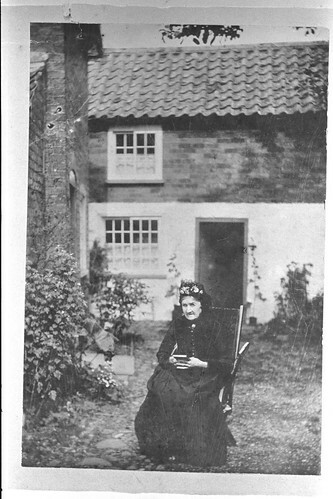 She went on to become my Great Great Great Grandmother when she married Charles Newman (also of Swaffham Bulbeck) in 1847, with whom she had six children. The earliest Levitt name bearer in the Swaffham Bulbeck parish registers appears on 12th November 1750 when my Great x6 Grandfather James Levitt married local girl Frances Roote (she was about 16 at the time). James and Frances settled down to have nine children over a 22 year period. Their fourth child, and oldest son, born in 1758 was James Levitt – my 5x Great Grandfather. With this James having married Elizabeth Fabb and bringing three sons into the world, the youngest – John Levitt – was born in 1797. By 1824, John was married to Elizabeth Skeel, and his father was dead. John and Elizabeth Levitt appeared as ‘Hardings’ on the 1871 census for Swaffham Bulbeck. Swaffham Bulbeck was still home to the Levitt family, and would remain so during through the 19th Century census returns (including a stint where John and Elizabeth were disguised by their married daughter’s name on the folio – proving a small challenge to find them) whilst John and Elizabeth rear a brood of nine children – all of whom appear to have survived into adult life. The oldest of these is where the Levitt family name ends (at least for me), when their oldest child – Emma Levitt (born in 1825) married my Great Great Great Grandfather Charles Newman. Emma’s Levitt siblings appear to have married and bore their own families, helping to keep the family alive. There seem to be a few variants of the surname’s spelling, but the main ones that I have seen are: Levitt, Levit, Levet, Levett and Livett. John Ayto‘s book “Encyclopedia Of Surnames” notes that Levett may have come from a few different origins. (i) ‘person from Livet’, the name of various places in Normandy, of unknown origin; (ii) from the medieval personal name ‘Lefget’ (from Old English ‘Leofgeat’, literally ‘beloved Geat’ (a tribal name)); (iii) from a medieval Norman nickname based on Anglo-Norman leuet ‘wolf cub’. 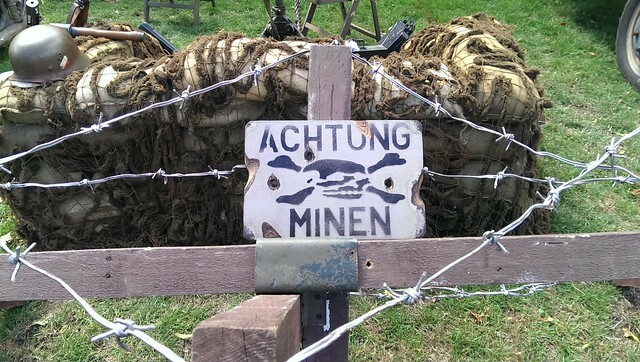 Surname Saturday – TINGEY or TINGAY. 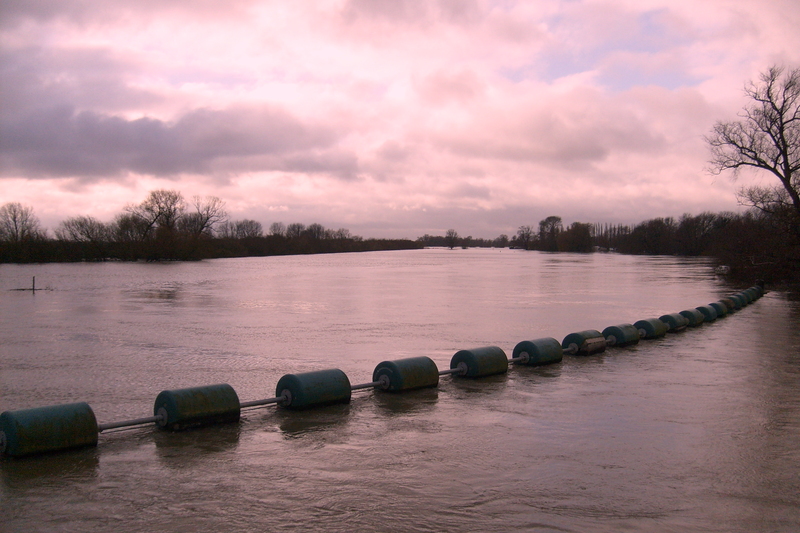 A look at the Tingey surname in Cambridgeshire. An unusual surname with seemingly disconnected family groups turns up in both my maternal and paternal families. The Tingey name turns up twice in my family tree. Once as ancestral in my paternal tree, and the other as a husband of a maternal great aunt. My earliest record of a bona-fide Tingey ancestor is Ann Tingey, who appears at the parish church in Witcham, Cambridgeshire in 1769 where she went to baptise her illegitimate son Thomas. By 1771 she had returned, to marry James Toll with whom she had at least two children. Thomas remained in Witcham, where he married Mary Barber in 1794 and together they had three children – Robert, Elizabeth and Sarah. It appears that the family moved just a few miles away to Oxlode in 1841 – a tiny hamlet close to the village of Little Downham, Cambridgeshire – which is where they ended up by the time of the 1851 census. Robert went on to marry Fanny Harrison and together they had a family of 12 children, with their oldest (Mary Tingey) being my ancestor, born in 1820. Amongst family photographs is a photograph of Mary in later life. By the time that this photo was taken, she would have either have been Mary Martin, widow, or Mrs Mary Watling(ton). She was married a total of three times. Another photograph is somewhat of a mystery – a carte de visite with the words ‘Aunt Tingey’ written on the back. It remains unclear as to whether this was an elderly maiden aunt, or a wife of a Tingey uncle. 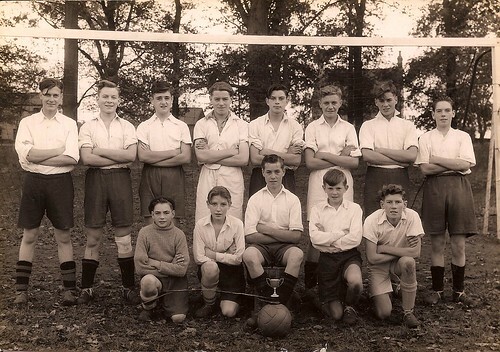 Whilst my own branch was busy living their lives and growing in the Little Downham area of Cambridgeshire, just four miles away in Ely appears to be another family group which I’ve never found a connection to. Another group of Tingeys appear in Henlow, Bedfordshire. For many years I have been in correspondence with another researcher – but as yet there appears to be no link between the family groups. According to the researcher, there are many gravestones for Tingey name-bearers standing in the parish churchyard. This unusual surname does have a few variants through the years – ranging from: Tingey, Tingay, Tingye, Tangye, Tyngy Tyngie. Book Review: “Soham & Wicken Through Time” by Michael Rouse and Anthony Day (ISBN:978-1-84868-667-0), published by Amberley Publishing Plc. ‘Soham and Wicken Through Time’ by Michael Rouse and Anthony Day is a collection of images from the history of Soham town and the neighbouring village of Wicken in Cambridgeshire. This book contains a real range of photographs, chronicling the changes that both places have undergone from the late 19th century right through to the modern day. 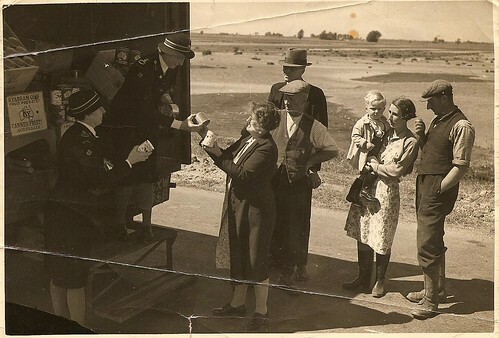 Care has been taken to try to take modern photographs of street scenes from the same position as the older image. This is achieved in most cases and really gives the reader a greater means of comparison. The book is split into two parts – Soham (by Michael Rouse) leads the first part half of the book, with (the more familiar to me) Wicken (by Anthony Day) taking the second half. Each page comes with two photographs and a well-researched caption, often including specific names of the people appearing in them – giving this book an extra significance in that it documents not just the places, but also the inhabitants. Unlike several of the ‘then and now’ books, it includes the village postman, the paper delivery boy, and the amateur dramatics group from both the late 19th century/early 20th century and also from when the book was compiled. The book is both fascinating as a measure of social history, as it is for a genealogist with interests in these two Cambridgeshire places. My only note, and maybe this is just me, is that the book would have benefited from including a basic map of each location, so that the reader could get a better sense of the location of the street scenes. “Soham & Wicken Through Time” by Michael Rouse and Anthony Day is published by Amberley Publishing Plc, ISBN: 978-1-84868-667-0. Buy from Amazon.co.uk – supporting this blog. I got my copy (signed by Michael Rouse) from Topping and Company Booksellers of Ely – they may have some signed copies left! The DUNHAM family of Witchford, Cambridgeshire is the subject of today’s Geneabloggers SURNAME SATURDAY meme. This week’s Surname Saturday post focuses on research I’ve been doing today. This morning I found my link to two new maternal family names, one of which is Dunham (the other is Foreman), so I’ve been typing this entry all day, covering the amount of information that I’ve uncovered in just a few hours. 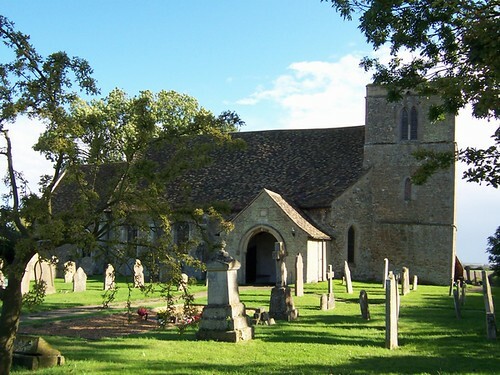 Witcham parish church, Cambridgeshire, has seen a mixture of building extensions through the years, and more recently removal of headstones to ‘make the grass cutting easier’! 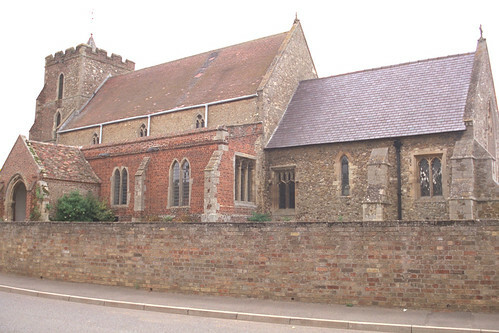 My connection to the Dunham tree happens in Witcham, Cambridgeshire in 1815 when John Hawkins married Jane Dunham. These two people were to become my Gt x 5 Grandparents, with my ancestry following down through their daughter Sarah Hawkins. John Hawkins, who was illiterate at the time of their 1815 marriage, worked as a labourer. He was born about 1796 in Witcham. 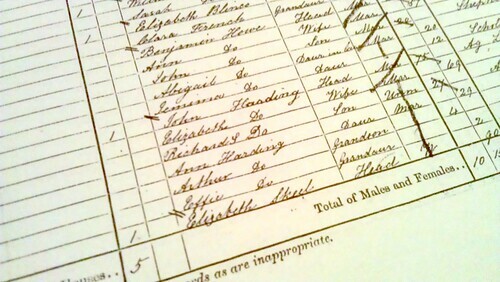 Jane Dunham, who could at least sign her name in 1815, was born in about 1793. At the time of the marriage, the Banns and Marriage entries state that they were ‘otp’ (of this parish), however no trace of Jane could be found in the church records until the Banns. Having found the 1841 census entry for John and Jane, along with their growing brood of children (they had eight in all), the shortcomings of the 1841 census was unable to tell me which village Jane was actually from. The 1851 census revealed the clue – it was Witchford – a village I have personally had connections to all my life, and in fact I was named after it (it’s St Andrew, although I wasn’t fortunate to be named the ‘Saint’ bit… yet). It’s one where several other of my ancestral families have lived and still do, and many of my ancestors and relatives have been buried. 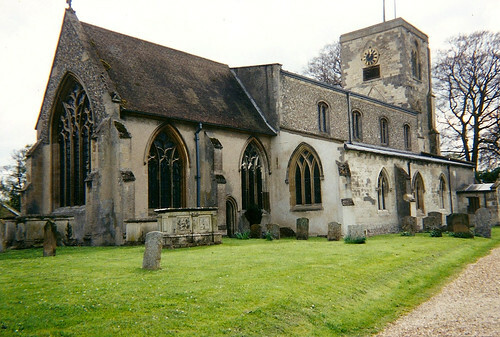 St Andrew’s Church at Witchford, Cambridgeshire, home to yet another ancestral name. With this piece of information I was able to rummage through the Witchford Parish Register and found Jane’s baptism in January 1794. Her parents were given as William and Alice Dunham. I then looked to see if this Jane had any siblings – with a rummage either side of her own baptism. I found four other siblings – 3 sisters and 1 brother. Having gauged the range of the births, I then crossed my fingers and looked for a William and Alice marriage. There it was! William Dunham married Alice Foreman in Witchford in June 1789. William Dunham – he appears to have died in 1844, outliving all but his daughter Jane. Alice Dunham (née Foreman) – died age 52 in 1821. 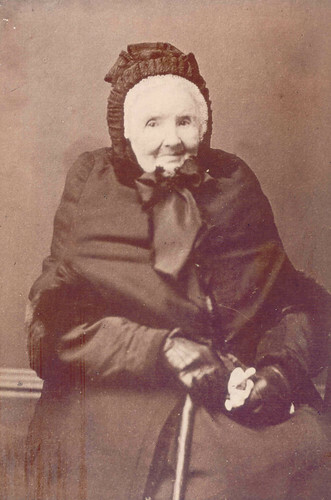 Elizabeth Dunham – the oldest, born in 1790. She died weeks later. Alice Dunham – Born abt 1791, died in 1800. Jane Dunham – my descendant, born 1793 – married John Hawkins. William Dunham – Born abt 1797, appears to have died in 1799. Rebecca Dunham – Born 1799, died 1800. From this, it appears that after marrying Alice, they both have undergone insurmountable pain and heartache by outliving all of their children apart from my ancestor, Jane Dunham. There’s no indication as to why the children died – disease? prematurity? harsh conditions? malnutrition? The possibilities could be anything at this period in history where life expectancy for adults wasn’t as it is today, and infant mortality rates were still high. The Geneabloggers meme Wordless Wednesday. 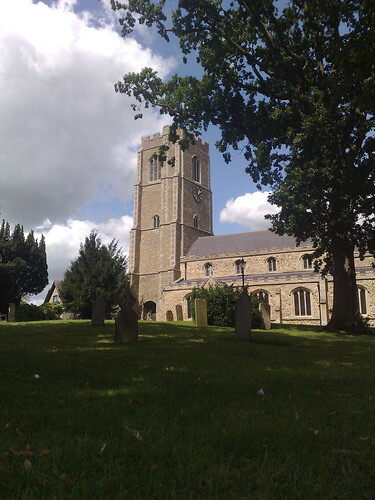 St George’s Church, Littleport, a photo by familytreeuk on Flickr. Author Andrew MartinPosted on September 8, 2011 Categories Levitt, SkeelTags #ElizabethLevittWhereAreYou, 1871, Ancestry.co.uk, Ann Harding, Cambridgeshire, Elizabeth Levitt, Elizabeth Skeel, FamilySearch.org, FindMyPast, Harding, John Levitt, Richard Skeel Levitt, S&N Genealogy, Swaffham Bulbeck5 Comments on SOLVED: Elizabeth Levitt Where Are You?